Rupert Murdoch has had a profound influence on the state of journalism today. It’s a kind of tribute, in some sense, that the general coverage of his current troubles has reflected the detrimental effect of his influence over the years. Right now, the media, by and large, are focusing on tawdry “police blotter” acts of the very sort that have historically informed Murdoch’s own tabloid sensibility, while the bigger picture gets short shrift. To be sure, the activities and actions of Murdoch’s that dominate the public conversation at the moment are deeply troubling, leaving aside their alleged criminality. Still, what is really pernicious about Murdoch is not his subordinates’ reported hacking of phones, payments of hush money, etc., or the possibility that Murdoch may have known about, tolerated, enabled, or even encouraged such acts. 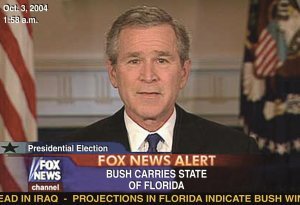 He has transformed world politics for the worse: It was George W. Bush’s first cousin(John Ellis), working as head of Murdoch’s Fox News election night “decision desk,” who, during the Florida voting uncertainties, called the election for Bush and set off a chain reaction from other media. The eight Bush years that followed, and all that came with them, can in this respect be laid at Murdoch’s feet. Once Bush was finally out of power, it was two of Murdoch’s most powerful entities (Fox News Channel and the Wall Street Journal) that provided a regular editorial slot for Bush’s “architect” Karl Rove to attack Bush’s successor. Murdoch’s role on the state and local level has been no less significant—in New York, for example, he has used his pulpit (including the New York Post) to advance the careers of sympathetic politicians (see the mayoral election of Ed Koch for example) as well as to relentlessly promote local, state and national scandals (Lewinsky, et al) that wounded or destroyed pols and candidates not in his corner. He has similarly influenced and shaped governments in the UK, Australia, and elsewhere for decades. He has turned the public against the press. By the generally inferior product produced, with a few exceptions, by the majority of the news outlets he controls and the tawdry methods sponsored by many of them, he has eroded the public’s confidence in media in general, tarnishing its belief even in those outfits whose work deserves to be taken seriously. He has also used his outlets to convince the public that other, more conscientious news organizations are ideologically suspect and biased.